What are the best longboard bearings? Even newly enthusiastic longboarders have heard of how important bearings are for speed, precision, and flexibility of maneuvers. Those who have done a bit of research about the parts that go into a longboard, probably even have an idea of how bearings look and maybe even some clue as to what differs really good bearings from really poor ones. However, picking the best longboard bearings usually presents quite a challenge. In order to do that, every lover of this extreme sport should first have an idea of what bearings are, generally speaking. A bearing is a machine that aids certain types of motion, depending on its purpose, most commonly it can facilitate a motion, minimize friction or determine a motion’s direction. However, the most important function of a bearing is to reduce friction. The word “bearing” is derived from the verb “to bear”, as it allows one part to support another. There are different types of bearings such as plain bearings, rolling bearings, jewel bearings, fluid bearings, magnetic bearings, and flexure ones. As one might presuppose, bearings used for skateboarding and longboarding are from the rolling type, more specifically ball bearings. They are called that because they are shaped in the form of a ring, with balls inside. Most commonly, ball bearings are constructed out of 5 parts – shield, inner race, balls (usually 7), retainer and outer race. When it comes to longboarding, two bearings go in each wheel (they are usually sold in sets of eight) and without their presence, this extreme sport would be impossible. That is due to the fact that bearings are what makes wheels turn and, obviously enough, nothing can happen without that. Despite the fact that finding the best longboard bearings for every rider’s personal style might present a challenge, the good news is that all bearings are standard in size, which means that they fit all skateboard and longboard wheels. However, there are a number of factors that result in a good bearing and should be considered. One of them is the material that bearings are made of, which is usually steel that can vary in quality. Recently some companies have been making ceramic bearings, which are slightly on the costly side, but make up for that in quality, as they are much more durable, need lower maintenance, produce very little friction, speed up faster, last longer and do not expand as a result of heat. Bearings might look somewhat similar from the outside, especially to riders who are just now dipping their toe in the vast longboarding pool. Nonetheless, their actual characteristics can greatly differ, depending on the quality of the material they are made out of, the sealing and the inner balls. As the main purpose of bearings is to minimize friction and thus increase speed and smoothness, the general rule is that the better quality the bearings, the more enjoyable the longboarding experience. Therefore it is crucial to remember that the space between the inner and outer race must be shaped in a manner which provides the least amount of friction. 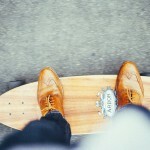 It is of great importance for every motion executed with a longboard. Those motions fall under three general categories – moving up and down, left to right, making twists and turns. All this is well and good in theory, but most people have a hard time once they get to actually picking the top bearings for themselves. As there is an enormous amount of options for bearings, which can often turn the purchase into a nightmarish debacle, it is a good thing that there are some guidelines to help longboarders in their choice. The most popular aid for this trouble is looking into the ABEC ratings. Since many types of bearings are being produced, the industry has decided that a uniform scale is needed to help the customers in their endeavor. Consequently, the ABEC scale was accepted by the Annular Bearing Engineering Committee. This scale is simply a measure of the tolerance quality in a bearing, which is the space allowed between the balls and the outer and inner races. Generally speaking, a tighter tolerance, or a more narrow space between the balls and the races, will result in less friction and thus higher speeds. The ABEC rating has five classes: 1,3,5,7 and 9, with 1 indicating the lowest precision, efficiency and speed capabilities. Even though this scale is a parameter that could really help when trying to choose the bearings, it is important to remember that there are other significant aspects of bearings. Nevertheless, choosing bearings that have a higher rating improves chances for quality and fast speed, as they indicate a higher RPM (revolutions per minute). Bearings are a popular choice, as they have built-in spacers, which allow the wheels to always be in alignment and spin as fast and long as possible by cutting down the vibration and friction. What’s more, the rattling that most bearings do is eliminated. 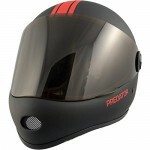 Which are perfect for smooth riding on various terrains. The ABEC scale is certainly a helpful tool; however, sometimes the best longboard bearings do not feature an ABEC rating. Some companies have chosen to use their own ratings, as the ABEC overlooks some very important aspects of longboard bearings. In order for the bearings to perform perfectly, some considerations are crucial – the material they are made out of, shape of the race, lubrication and friction with different surfaces. Unfortunately, since the ABEC does not take into account these parameters, sometimes bearings with a rating of 3 might function better than ones with a rating of 5 or even 7. Consequently, some companies famous for their high-quality products, like Bones Bearings, rely on their own classifications. 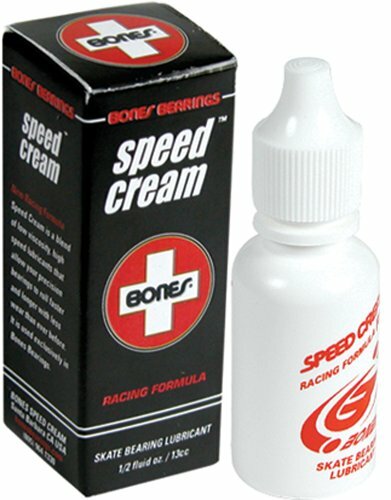 Bones Bearings is, by far, one of the very best manufacturers whose products are being widely used by both amateur and professional longboarders. A great choice is the Bones Reds Ceramics Skateboard Bearings. The Reds series by Bones are probably some of the most popular bearings ever produced. These specific ones are not only ceramic but are also pre-lubricated with a racing lubricant and feature high-speed nylon ball retainer for greater strength and speed. If you’re searching for the best longboard bearings for speed, these Bones bearings are the right one for you. The Bones Ceramic Reds are among the best longboard bearings of 2018 and surely, for years to come. Another good option is the Bones Swiss Ceramics Skateboard Bearings, which, according to the company itself, are the best wheel bearings out there. These Bones bearings are lighter, accelerate much faster than regular bearings, resist dirt and moisture better and thus last longer. 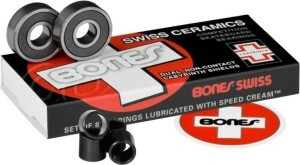 Last but not least, the Bones Original Swiss Skateboard Bearings are an amazing option. These bearings are truly legendary in the world of longboarding due to their classical appeal and undeniably high quality preferred by many professionals. The high-speed ball retainer provides added strength and speed. 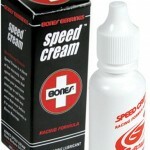 Also, these bearings come pre-lubricated with Speed Cream racing lubricant. With the help of good longboard bearings, the longboard wheels will move consistently and smoothly, allowing you to enjoy a smooth ride. The opposite is true for bad bearings. Riders may experience more friction than normal when pushing on their boards. 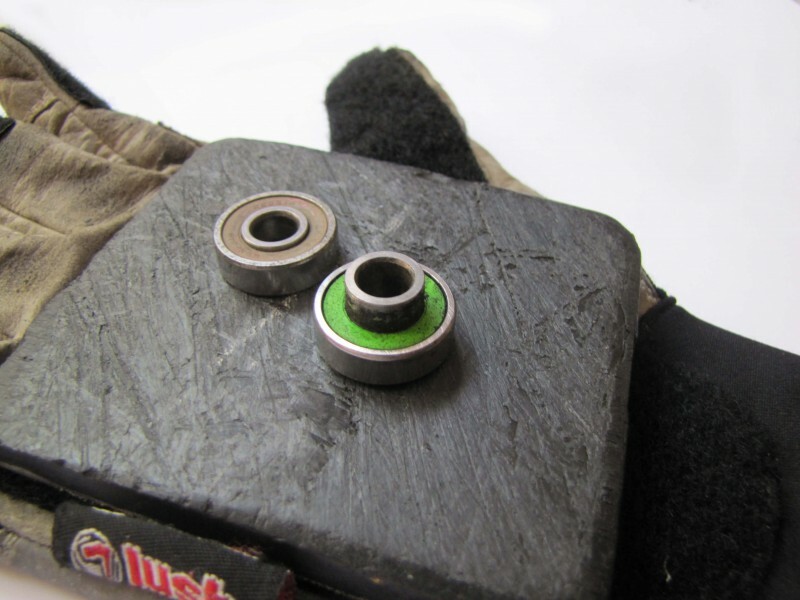 It’s relatively easy to replace the bearings on your board. It just takes less than one hour. If you consider how much they will improve your ride, it’s definitely worth it. Also, take note that if you pick the best longboard bearings, you won’t have to replace the bearings for years. 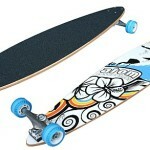 Choosing the best longboard bearing involves knowing its major components and parts. Aside from gathering information about the rating system used for skateboard bearings and longboard bearings, you also must know the specific material used in the balls. Two of the most popular options are ceramic and steel. The balls are a major component of longboard bearings. They are responsible for the rolling ability of bearings. Are ceramic bearings good quality for longboards? Ceramic is preferred by many skateboard and longboard enthusiasts because of its strong and smooth nature. However, ceramic bearings are more expensive than steel bearings. There are three types of ceramics often found in ball bearings: zirconium dioxide, silicon nitride, and silicon carbide. On the other hand, steel is popular for its ductility and elasticity. Because of these qualities, steel has the ability to retain its original shape even after you’ve applied loads to it. Another important thing to consider is longboard bearing size. You can choose between the standard 608 and non-standard sizes. 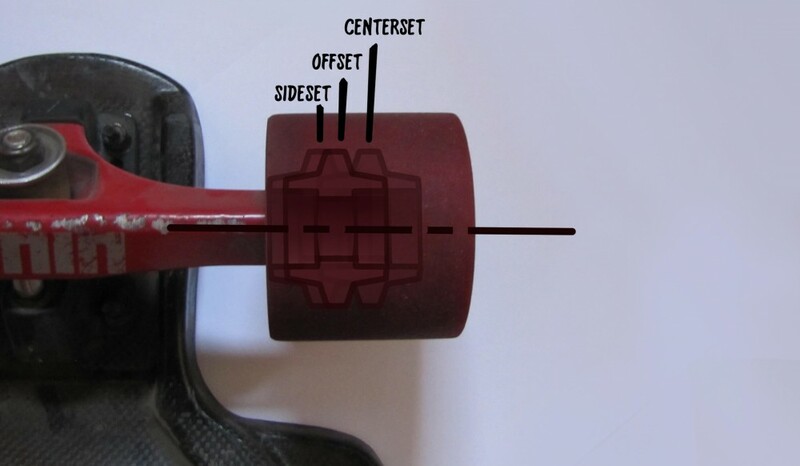 In the field of skateboarding and longboarding, the standard 608 bearing size is regarded as the standard. Typically, it comes with an 8 mm bore 7 mm thickness, and 22 mm outer diameter. Many choose the standard 608 sizes because it is compatible with the majority of skateboard brand wheels. Although rare, you can also find non-standard sizes of bearings for longboards. Along with the choice of bearings is choosing lubricants capable of minimizing friction. This is because minimal friction helps ensure that the longboard performs at its best. You have different options: the speed cream and the nano-ceramic grease. Are among the essential parts of bearings. It fits between the bearings and wheel. Bearing spacers allow you to tighten the axles more while allowing the wheels to spin smoothly. In most cases, spacers measure about one-half inch. That can serve as a basis in choosing the most reliable bearing spacers. One important thing that you have to know about bearings is their tolerance rating system. The ABEC rating system serves as a measurement of tolerance. Tolerance can be described as the manner in which bearing components or parts fit together. Usually, it’s better to choose bearings with higher ABEC ratings. The quality of the materials used in them is most likely top-notch. This is important if you want the bearings to perform well for a long time. 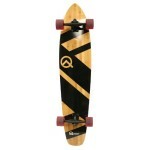 Aside from the ABEC rating, you’ll also notice that some longboard bearing brands and models use the term skate-rated. In most cases, skate-rated bearings are more capable of handling various environments, no matter how harsh they may be. 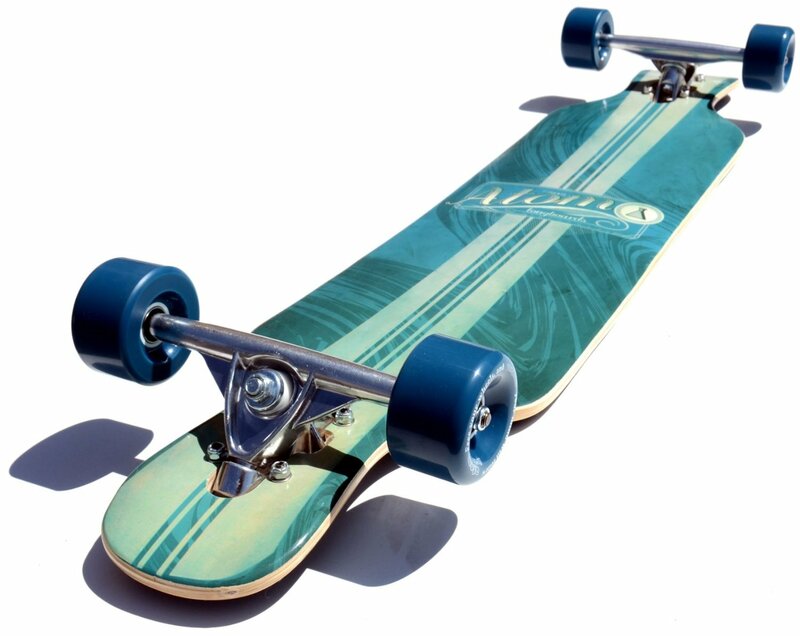 Aside from choosing the best longboard brands and finding the most reliable longboard deck, you should also figure out the best longboard wheels and bearings. There are practically endless options for bearings out there, and while all of that abundance can be good, it can also make choosing the best bearings a very difficult task. What is essential to remember, is that this is one of the most important parts of a longboard, so it should never be overlooked. Also, even though it might seem as though more expensive bearings are not worth it, they are actually more practical, even financially, as they last much longer and will enhance the riding experience tremendously, especially for cruising and downhill riding. The bearings covered in this article are guaranteed to make for a special longboarding experience no matter what the riding style. What are your favorite longboard bearings? Comment below!